Let the games begin! All bets are off this basketball season as fans across the country cheer on their alma mater or favorite basketball team. March Madness is upon us, and this year’s NCAA Tournament is set to be an exciting one. From expert predictions to who’s hot, fans are feverishly filling brackets with their top picks and wild cards in hopes for a slam dunk. This week’s Apps on Tap features the top March Madness apps that will help determine the losers from the winners. Unless you plan on not seeing the light of day until April 8, watching all 67 games of the NCAA Division I Men’s Basketball Tournament is nearly impossible, unless you have the NCAA March Madness Live app. This program gives super fans an all-access pass to all 67 nail-biting games. Watch every game live from your iPhone, iPad, iPod Touch or select Android phone, or listen to live radio coverage. This all-inclusive, interactive app gives users the ability to view tournament brackets by region, round or date along with live box scores and game highlights. 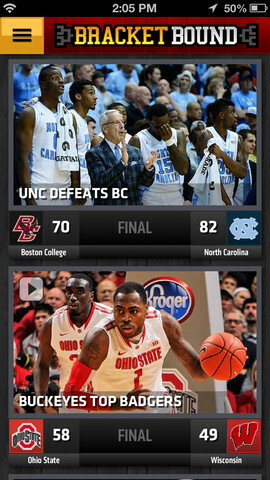 Stay up to date with alerts about upsets, buzzer-beating close calls and more. Trash talk with your friends via Facebook or Twitter using the apps social media feature. The latest version of the NCAA March Madness Live app will launch on March 19. Once again, sports aficionado ESPN is giving users the inside scoop to this year’s NCAA Division I Men’s Basketball Tournament. The ESPN Bracket Bound 2013 app provides users with the latest scores, news, Bracketology and highlights from this year’s top teams and players. 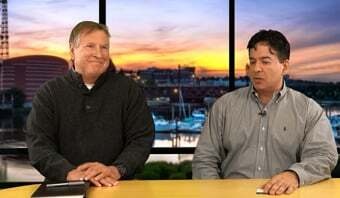 Stay on your toes with top stories and expert editorial commentary, featuring game analysis, highlights, recaps and previews. The app’s “My Teams” and “My Games” features give users personalized coverage of their favorite teams. With the apps newest version, 4.0.2, users can receive real-time bracket forecasts and regional projections, along with video analysis from expert ESPN college basketball commentators. Challenge yourself and other friends, family and coworkers with the ESPN Tournament Challenge, in which users can create up to 10 brackets. Get social, with the apps integrated Twitter feed. Don’t be a loser; be sure to get your top picks in before it’s too late! March Madness always keeps fan on their toes. With big upsets and triple overtime victories, the stress of juggling several brackets can take the fun out of competing with friends, family and coworkers. Thankfully, PocketBracket eliminates that frustration with its easy-to-use mobile app. Now, fans across the country can conveniently create and manage an unlimited amount of brackets. How does it work? 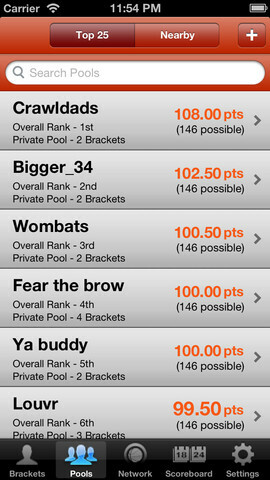 With PocketBracket’s intuitive touchscreen interface, users can easily fill brackets with their top picks. Come game day, their brackets will automatically update with the latest tournament scores and rankings. With over 67 games in the NCAA Division I Men’s Basketball Tournament, it’s hard to keep up. Luckily, the app’s “Bracket Picks” feature clearly organizes each division by region and round. Users can create or join private or public pools available within the PocketBracket network of fans through Facebook, Twitter or e-mail. See which fans are on top with the “Top 25” feature and don’t forget to check the “Scoreboard” for real-time game updates and scores. Don’t crack under pressure; keep your brackets organized during this year’s tournament with PocketBracket. Stay on top of your game with these three go-to March Madness apps. And don’t forget to get your picks in for the 2013 NCAA Division I Men’s Basketball Tournament. Stay tuned for next week’s Apps on Tap!